Have you ever woke up in the morning and ask yourself “what is happening to my life?”, “where am I going to?”, “how did time go by so fast?”, “is my life stuck in a rut?”. And then realize that life is just happening to you and you don’t even have a plan about what you really want to happen. Well, to me it has happened. In a moment like this, I started setting and writing down goals. And that was the moment my life started to get a clear purpose and direction. Started and still is. The saying that one learns until the end of life confirms every day, even in the moment that I write these lines. Was everything just fine before that moment? Of course, it was and when I think I’ve always had some goals that I followed. The questions that arise for me are if I’ve set those goals by myself or somebody else gave me an “idea” about what I want and where I should be going to. And if I followed them by knowing that I really want to achieve them or some of them I just “had to”. Were that my goals? Being a good student, graduating with high grades, going to a prestige university, finding a good job, etc. Well, since I achieved them in some sense they were my goals after all. And the fact is that one can live a life doing what life puts in the way as tasks and issues. There is nothing wrong with that. But for me personally that brings a lot of questions and mainly the question about the meaning. When I wake up in the morning and I feel I’m like a ship without an anchor carried by the wind and the waves and I realize that I pedal the wheel of everyday life without knowing where I am going, that leaves a bad feeling in me. A sense of wasted time and dreams not followed. A man is as big as his dreams are. In the rush of everyday life, it turns out that we forget our dreams, forget what we dreamed about and wanted as children. We begin to live a life of reaction responding to everything that the daily routine gives us as tasks. So we spend more and more time on the daily tasks at work and at home and less time in order to follow our true desires. We even spend less time to think about “what I actually want?”. So, do you need to set goals? If you are one of those people, who find themselves thinking about such questions and matters, I will be happy to share a few tips that will help you set and follow your goals. Then all you have to do is “just” make the first step … and of course continue. Write down what you would like to achieve in your life and put the list in a place where your eyes will meet it often. The more often you see it, the more your thoughts and focus will return to what you really care about and the more often you can think how to make the next small step towards achieving them. You will begin to see opportunities and come up with ideas that have eluded you so far. Furthermore there are many evidences that when one has a clear focus thoughts are turning into reality. It is not a must that you have to achieve all the goals you’ve already set. While following the path to a goal you may realize that this is not exactly your goal. And then you can change it or quit it – just be sure you are aware of the reasons why. It is a good idea to check and re-think your goals from time to time and not just follow them blindly once they are set. Also since the last time you revised your goals has probably been some time and it is likely that you have new goals to add. Add them but be aware they should not get too much. It is considered that the maximum number of goals should not exceed 7. Ok, but how often to revise them? It is good to make it at least once a year. Each of us has a time in the year in which usually thinks about what’s going on in life, about the accomplishments, the issues, about what would like to achieve, etc. Whether it’s Christmas / New Year or around your birthday when another year is counted, use these moments to review, reconsider and correct the direction you are moving to. The 90-day action goals are easiest to set because they are easily foreseeable and generally easier to achieve. They are the “small” goals, which you want to achieve in the next months or a year. Beside them, it is good to have 25-year visions that are for the next 3, 5 or even 10, 20 years. Why? Because the action goals are usually meant to define paths to reach the visions. On the other hand, the visions will give you the perspective to choose which of the action goals are more important than the other and also make the action goals aligned with each other. You want to be in a good shape and set a goal for the next one year to have the “dream body”. In order to reach that you decide to go to the gym 4 times a week. In the same time, you also have a goal to make something nice for yourself every day just for the pleasure of it. And there comes the moment in which you are standing in front of a delicious piece of cake wondering whether you should buy it or not. On one hand you train in the gym regularly and take care of your body, but on the other hand, you want to have the pleasure of eating the amazing piece of cake. It turns out that the goals are not aligned and you have to choose which one is more important to you. If you really want to achieve a vision to be in good shape and health, then the choice is obvious, although maybe not very easy. 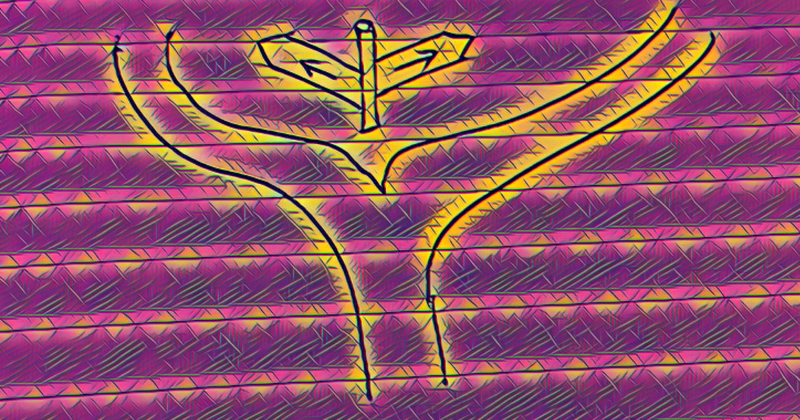 The idea, however, is to have a clear understanding how your actions are aligned with the different goals you have and to take a conscious choice, no matter what you decide to compromise on. Why do you want to achieve that goal? When you write down your goals next to each of them add a description answering as detailed as possible “why do I want to achieve that?”, “why this is important for me?”. Pick as many reasons as possible. While you make the list you may find out that some of the goals are not as important for you as it seemed in the beginning or vice versa – to realize that an “accidentally” set goal is really important. The answers to the question “why” are the fuel, that will drive you forward and will motivate you to chase the goal. Here is one of my favorite examples. You have a vision for your personal growth and want to go to a very good but expensive seminar. So you set a goal “Go to seminar X”. Then start saving for that and you will need a few months for that (it IS an expensive one). In that moment if you have the “why list” next to your goal it is highly likely that will motivate and inspire you to stick to your goal instead of buying a bunch of (usually) unnecessary things. because I will improve my skills in certain area. This will give me great opportunities to improve my life. because I love to do certain things and in that seminar I will gain more knowledge how to do them better. Once I get good enough I can do that for other people, make money doing it and live my dream life. After you have answered the “why” question and you are clear about why you want to achieve your goals there is one last step to make in order to achieve your goals. That may sound easy in words, but sometimes that is the hardest part. Either the goal seems too big and unachievable or we lack the persistence to follow it or we have too many daily issues to solve and no time for anything else, etc. The key is to break the path to the goal into small steps. And then regularly make the steps. Each week, each month, each year. You may be surprised how the small victories gain progress and unnoticeably you find yourself so much closer to reaching the goal. 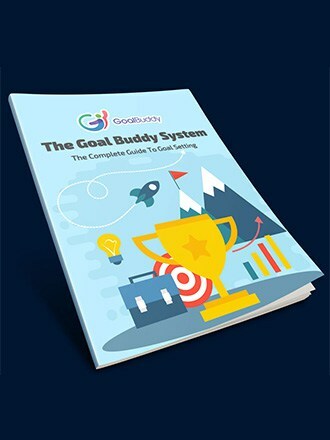 At Goal Buddy we’ve been developing for years a system that will help people set and follow their goals. We use it all the time and improve it constantly. At the current moment, we make efforts to share it with the world in a way that will help the people to achieve what they want in life and feel more satisfied, more joyful, more confident. And until that happens we will share with you everything that we’ve learned so far and everything we will learn in the future. Pingback:The hardest question in your life. Why is it so hard to answer? Pingback:Why set goals. The 9 benefits you didn't know about.